New Delhi: India's shift towards a digital economy where dependency on cash is significantly reduced, is taking gradual, successful steps. As per data released by Prime Minister Narendra Modi on his website, cashless transactions have picked up ever since demonetisation had come to effect and initiatives were being taken by various wings of the government, encouraging people to go cashless. In the financial year of 2016-17, there were a total of 865.9 crore digital transactions across all banking platforms. This is a significant rise from the 2013-14 number of 254.5 crore digital transactions. Within a period of 3 years, the amount of digital transactions has more than tripled. 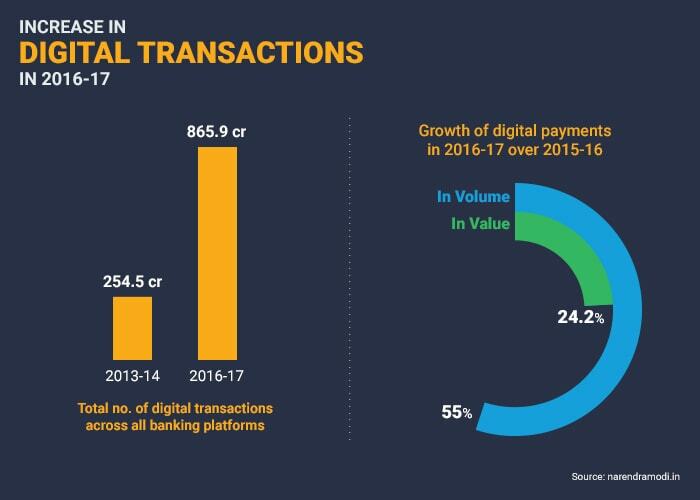 Recently, Niti Aayog principal advisor Ratan Watal shared similar statistics, stating that digital payments grew 55 per cent in volume and 24.2 per cent in value in 2016-17 over 2015-16. The present Union government has laid stress on the importance of adopting cashless methods of transactions, to ensure that every transaction leaves a trace. Citing how cash is also a potential contributor to amassment of black money, the Union government pulled Rs 500 and Rs 1,000 notes out of circulation in November 2016. Since then, several initiatives have been taken by the government to encourage more people to adopt cashless methods of payment.Though wholesome digitisation of the economy is still a distant dream, the number of people conducting digital transactions throughout the country has definitely increased. The government has repeatedly stressed on the importance of using mobile banking and has urged people to use their mobile phones for banking purposes. The government maintained that India's 117 crore strong base of mobile phone users can do much better in terms of utilising mobile banking applications. The Bharat Interface for Money (BHIM) app, which enables users to make payments across bank accounts is a significant achievement for the cashless mission, already being downloaded by over 2 crore people. The Prime Minister's website stated that over 72 crore transactions were done using mobile banking in 2016-17, compared to 9.47 crore in 2013-14. The value of mobile banking transactions increased to Rs 10,572 crore from 224 crore in 2013-14. Digital transactions rose up to 3 crore daily in March 2017, compared to 96 lakh daily in March 2014. 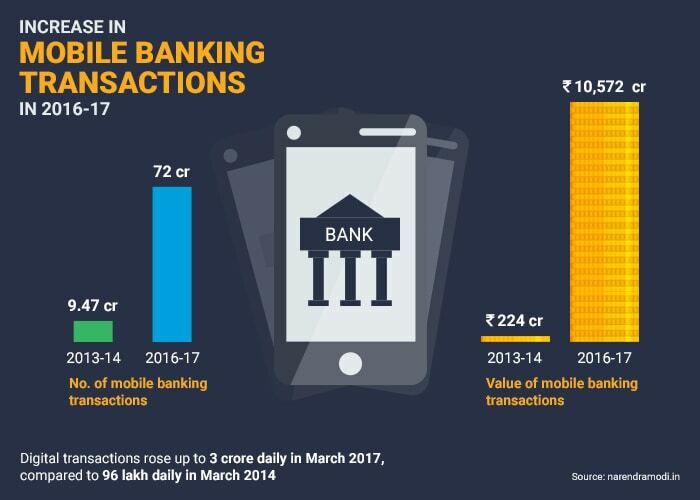 The increase is huge and shows that mobile banking has caught on very well with people, given how easy it is to conduct transactions using mobile phones and reduces dependency on physical bank visits or cash transfers. 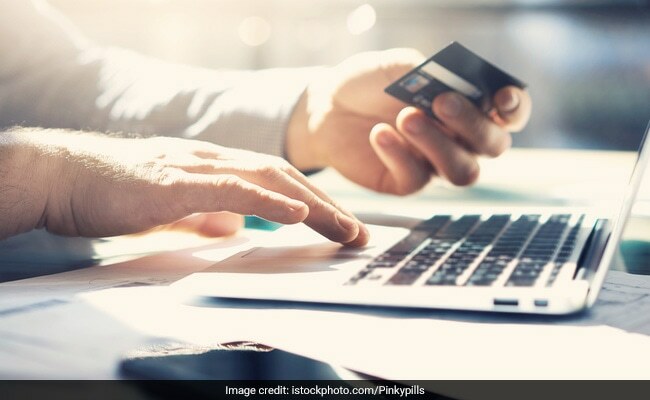 When demonetisation had taken place and India was urged to go cashless, a concern was the availability of internet connectivity, a necessary requirement for cashless transactions. To address this issue, the government worked towards the laying of optical fibre cables for broadband networks and asked the public telecom operators BSNL, as well as private companies such as Reliance and Bharti Airtel to ensure better internet connectivity, especially in rural and semi-urban areas. The total broadband network in 2017 amounts to 2,05,404 kilometres, compared to the merely 358 kilometres in 2013-14 This will ensure that internet connectivity in many parts of the country is much better and helps people in conducting cashless transactions without any hiccups. The rise in digital transactions can be attributed to the government's various initiatives taken to promote the benefits of digital transactions. From announcing a range of incentives for those who adopt cashless payments, to organizing Digi Dhan melas and Digi Dhan Vyapar Yojanas to bring traders and consumers under the cashless system, the government has promoted the benefits of cashless in a comprehensive manner. It is up to the government now to ensure that the momentum of rise in cashless transactions keeps increasing and the necessary infrastructure required for digitisation of economy is in place. 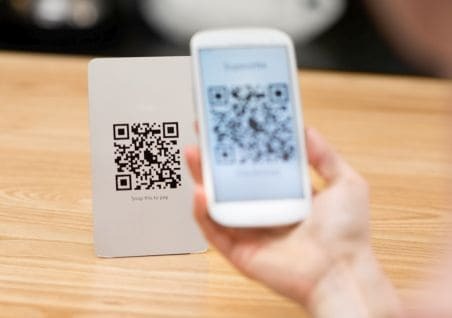 It will be particularly challenging for the government to successfully implement the habit of going cashless in rural areas, which have been traditionally dependent on cash. However, with due infrastructure and policies in place, India's transition to a cashless economy could become a reality with time. NDTV along with MasterCard is launching a multi-platform campaign “Cashless Bano India”, to create digital awareness and educate the masses about digital payment solutions for day to day transactions. The campaign aims to take the message of a cash free India to the country, all while educating them on the ways and means to do it.